Not only was the dress gorgeous, but it was consistent with the star's edgy sense of style. 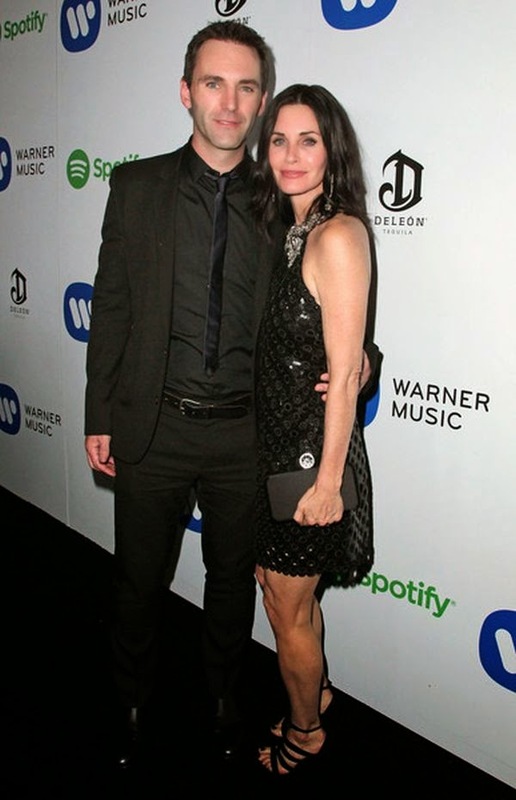 Courtney Cox kept things simple in a dark short dress with backless detail as she attended the Grammy Awards with fiance, Johnny McDaid at Los Angeles on Sunday, February 8, 2015. As the garment rushed down into a long tail in the back, it is also featured a high necked sleeveless that displaying her innocent skin of toned arms. Staying busy! The 50-year-old made her way across the red carpet in a cute handbag and navigating her enviable long legs with a pair of strap heels. Hair in curls, subtle make-up and always smiling completed her look while the 38-year-old balancing his art with a matching suits between the fresh face. Not only do they both know how to make a statement of high-fashion charm, but we are really love to their harmonism by arm to arm during a photo shoots session. . . . . . . . . .Everlasting!! !